Being compassionate isn’t always easy. Sometimes the need to show compassion happens at times when it’s very easy to get angry or annoyed or when we would just like someone to be compassionate toward us. But, if you can choose to be compassionate during these times, you can choose to be compassionate at all times. And, you will feel better, help other people will feel better, and everyone will benefit. We all suffer at some point, and your suffering is not more important than someone else’s suffering. So don’t focus solely on yourself in any given situation. The best thing you can do is to step into someone else’s shoes. For example, if someone comes up to you and asks you for some spare change, don’t judge them as a bum or annoyance. Instead, step into their shoes and imagine what it would be like to beg for money. Imagine what it would be like not to have money to do what you want to do let alone what you need to do. Imagine the pain, frustration, or worry that comes with being short of money. When you can step into their shoes and imagine yourself in their position, even if it’s not totally accurate of what they are going through, you will be more compassionate instantly. When you make the time to connect with other people and get to know them – even if it’s just a little bit – you develop more compassion for others. Connecting isn’t the same as being around other people. For example, I can sit in a coffee shop and be annoyed with everyone in there. But, if I were to talk to them, find out why they were there, get to know them a little, then I would feel more connected and compassionate towards them. You don’t even need to talk to someone to connect with them. Listen in to their conversations or watch their body language and you will learn more about who they are and what’s making them act the way they are acting. I remember one time being at an event and there was an annoying girl there. She was sulking and miserable towards everyone. It wasn’t until I noticed that her boyfriend had left a hand mark on her arm and saw a slight red mark by her eye that was covered up poorly with makeup that I realized she was likely being abused by this guy and was in no mood to pretend to be happy and enjoying everyone’s company. Understanding this helped me connect with what she might be feeling and I was instantly able to feel compassion towards her. Find things to be compassionate about. If you focus on things to be annoyed or angry with, then you will multiply your annoyance or anger. The same will happen with compassion. Bring yourself to the present moment and find a reason to be compassionate. Notice what or who deserves your kindness and patience. Also, you can put your attention on good things that raise your vibration to that of gratitude or higher and then you will have an easier time being compassionate when you need to be. In other words, find things to be grateful for! Instead of noticing everything that’s going wrong, notice everything that’s going right. Kindness and compassion are the same things as far as I’m concerned. Kindness is about being confident in yourself and treating other people with the respect that they deserve, even if they aren’t giving it back. It’s not about taking abuse, it’s about keeping yourself in a state of happiness. I worked in a hospital many years ago, and kindness was not practiced by many of the staff. They dealt with rude, inconsiderate people on a daily basis, and after so many interactions, they had lost their ability to be kind. But, there were a few people who practiced kindness with everyone – patients and staff – and they were the happiest people in that place. They were able to work through problems while staying positive, deal with people efficiently and quickly, and feel productive at the end of the day. I know some older people who are miserable, and they have outright said that they can’t change. They think that it’s too late to learn how to be happy. Compassion, along with other positive feelings, can be cultivated. One of the ways compassion can be cultivated is through positive affirmations. By consistently telling yourself something, such as I grow more compassionate each day, you will find yourself looking for ways to live up to what you are telling yourself. Think compassionate thoughts. Say compassionate things. Do this every day and you will grow more compassionate each day. One of the best ways to do anything is to teach it. If you are constantly telling others how they can be more compassionate, you will become more compassionate yourself. 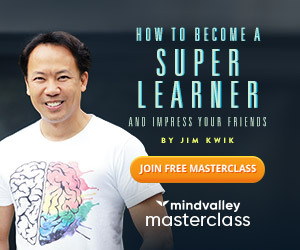 In fact, memory expert Jim Kwik, creator of the Superbrain quest on Mindvalley, encourages you to teach other people his memory techniques in order to remember them yourself better. Do you remember that time when someone lost their cool with you? Do you remember someone judging you, labeling you, rushing you, yelling at you, or misunderstanding you? Do you remember wishing they would chill out and see things from your point of view? This affirmation is important to add to your daily ritual of trying to be more compassionate. It will remind you of how bad it feels to be on the other end of a situation where someone lacks compassion. And it will remind you of how good it feels to be around someone who is understanding, kind, and supportive.